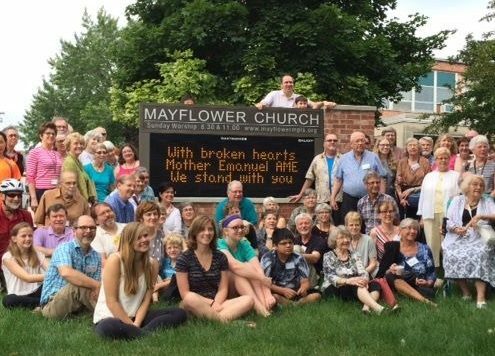 Mayflower is a progressive church in Minneapolis, affiliated with the United Church of Christ. 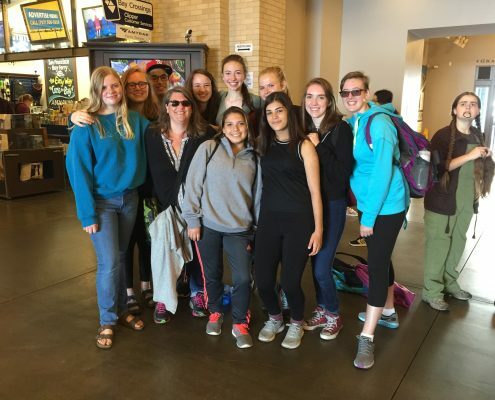 To inspire spiritual journeys on the Jesus path and to transform each individual into a catalyst for justice through communion with God, education, and action. To become a spiritual incubator that transforms people, resources, talents, passion and our progressive Christian faith into focused energy to achieve God’s dream of justice on earth. Mayflower Community Congregational UCC is a courageous, progressive congregation of the United Church of Christ. We share joy in worship and fellowship, nurture people of all ages as an intergenerational community, seek to grow in mind and spirit, support one another in times of grief, and pursue healing and justice in the world around us. In recent years, Mayflower has partnered in building Creekside Commons, 30 units of workforce housing, on property adjacent to the church; founded the Mayflower Early Childhood Center for mixed-income families; forged a powerful community-organizing relationship with ISAIAH as a leader congregation; organized to win marriage equality in Minnesota; emerged as national leaders in climate change work; and became the first UCC congregation to divest endowment funds from fossil fuels. As an Open and Affirming congregation, we recognize and affirm all people, including gay, lesbian, bisexual, and transgender persons, as equal recipients of the love and grace of God. As a Peace with Justice congregation, we study and support non-violence and actively work on issues of justice and peace on the local, national, and international levels. 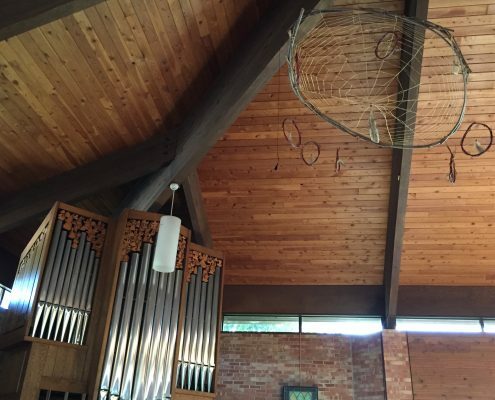 As the original Earthwise congregation we are striving toward our goal of becoming a carbon neutral building by 2030 and are implementing zero-waste policies. As an Immigrant Welcoming congregation, we proclaim to immigrants and the community that Mayflower supports brothers and sisters from other countries, documented or not, and happily welcomes them into our church. We strive to be accessible to all in our building, worship, and programming. We are dedicated to working for racial and economic justice within, among, and beyond our church. 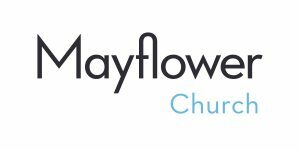 Mayflower Church carries the heritage of two distinct congregations into its ministry and outreach today—Mayflower and Faith Church. Mayflower Community Congregational Church (UCC) began in 1925 as a missionary endeavor of the Minneapolis Congregational Union. Its first building was in the new town of East Richfield, at the corner of Diamond Lake Road and Stevens Avenue. On May 6, 1925, a charter group of 32 members organized the congregation. The group chose a name, prepared bylaws, and elected officers. In 1935, the church built a Spanish-style sanctuary (now the Museum of Russian Art). The church grew rapidly and became one of the strongest congregations of the denomination between Chicago and the West Coast. The present Mayflower Church sanctuary, administrative unit, dining hall, and kitchen were built across the street in 1974-75, completed in time for the church’s 50th anniversary celebration on May 6, 1975. Mayflower Church celebrated its merger with Faith United Church of Christ on February 7, 1993. Faith UCC was started in 1920 as part of the Evangelical and Reformed denomination, which joined with the Congregational Christians to form the United Church of Christ in 1957. Its building was completed and dedicated in October 1930. The stained glass windows from that building now adorn Mayflower’s sanctuary and narthex walls. 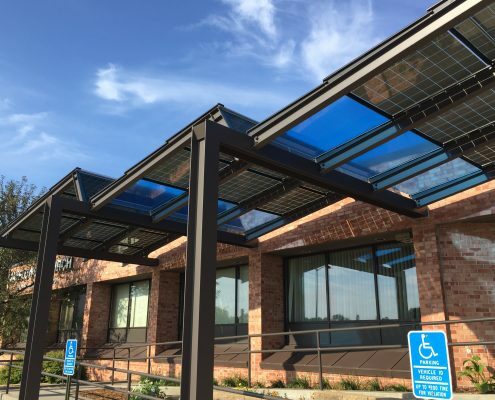 Today, some more recent additions stand out: an array of almost 200 solar panels (50 visible in the canopy over the main entrance), an accessibility ramp to increase our welcome, and Creekside Commons to the north of the Mayflower parking lot. Read Ship to Shore, Mayflower’s monthly newsletter. The United Church of Christ was formed in 1957 with the union of two Protestant denominations: the Evangelical and Reformed Church and the Congregational Christian Churches. Each of the denominations coming into the original union in 1957 holds a rich and diversified history. Excellent and interesting summaries of this history and the many different groups within the UCC can be found here. Learn more about the United Church of Christ.